For his service and contribution to LCT history. William D. Baker ** Ensign 7/1/43 to 6/22/46. On September 15, 1944 when I reported aboard LCT 1040 (Mark VI) as assistant officer- in-charge, I saluted the skipper, Ensign Richard Wilson, and said, "Ensign Baker reporting for duty, sir." He said, "Cut that out! This is the Amphibs!" 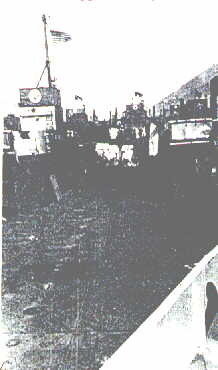 We were in the harbor at Marseilles working day and night unloading liberty ships anchored in the bay. Wilson went on liberty and the crew taught me how to conn a craft. I had never seen an LCT. The Quartermaster was Baird, The Motormacs were Polito and Burowski, both from my home town of Buffalo, NY, and the cox'n was Phillips. What a good crew and what good teachers they were. They had just been through the invasion of southern France several miles east of Marseilles. The rubber tires used as fenders were splattered with shrapnel from German 88 mm guns. One night a German spy plane drew fire from all of the ships in the harbor. I remember the terrible vulnerable feeling I had when the bright white phosphorescent flare caught us all in what must have been a memorable photograph. A few days before we left for Palermo about a dozen craft in Flotilla 20 were ordered out of the bay to rescue a stricken freighter along the French coast. It was not good judgment for a mistral was blowing 0 beat the band, as fierce a wind as I ever encountered in two years on LCTs. We made slow progress and finally we were ordered back to Marseilles. But we couldn't turn around! No matter how we tried putting the wheel hard left or right and going ahead full on two engines while backing full on the third, we were stuck. After two hours the wind let up just for a moment, and we scooted around and headed home. I never did hear what happened to the freighter, but I learned forever the difficulties of operating an LCT under near-gale conditions. On January 15, 1945 (when I was still twenty years old) I left the 1040 to become skipper of the Mark V 34. My adventures on the 34 will be posted later. Meanwhile I will continue to work on annotating the daily letters I sent home from the Med. I have added a 37-page foreword describing amphibious operations and focusing on southern France. I have also added a number of first-hand combat accounts, and I am eager to add more if anyone can contribute reports. Battleships intimidated the enemy and lobbed shells at them from a dozen miles off shore, while LCTs sailed straight onto the beach in the teeth of fierce opposition, and they came back again and again. 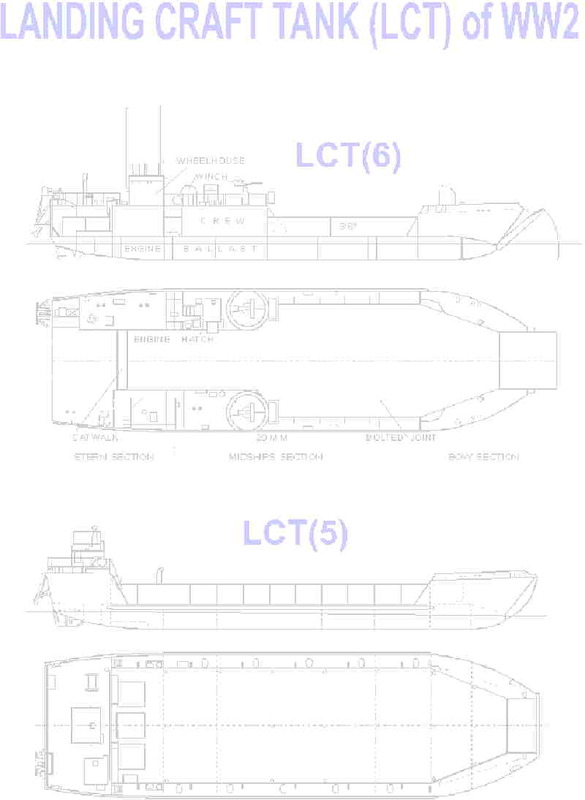 I am searching for a publisher, but I realize that LCTs are neither as glamorous nor newsworthy as "the pride of the fleet." Will someone please tell a publisher that the LCT story is worth listening to.